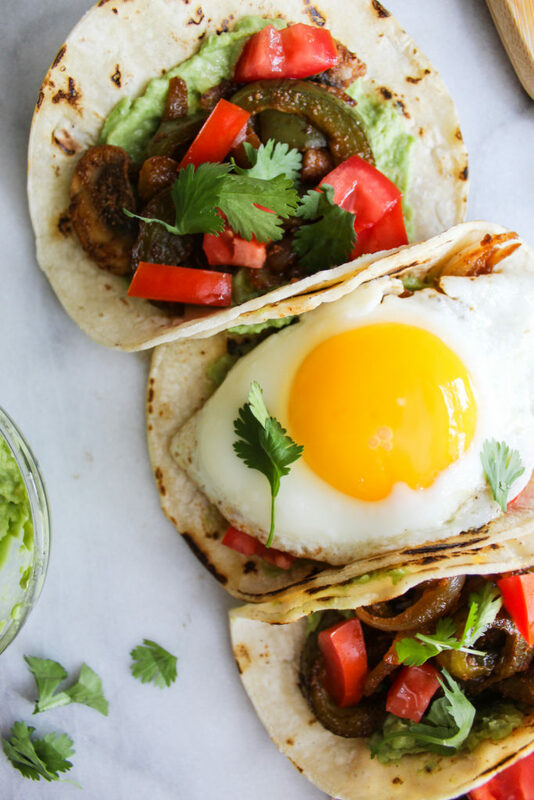 These Spicy Breakfast Fajitas are filled with creamy guacamole, loaded with spicy fajita vegetables and topped with a piping hot fried egg! It’s spicy, it’s delicious, it’s your new favorite breakfast. Alright y’all. It’s been a while since I posted a taco recipe, so I figured what better time than now! As I’ve mentioned before, it does not have to be a Tuesday for me to want a taco. Better yet, I never need a reason to eat good Mexican food! I’ll eat it whenever, wherever. Which is fitting since this particular recipe is meant for breakfast! If you’re in the mood for some more Mexican inspired recipes, check out these Sriracha Lime Roasted Corn and Goat Cheese Quesadillas. 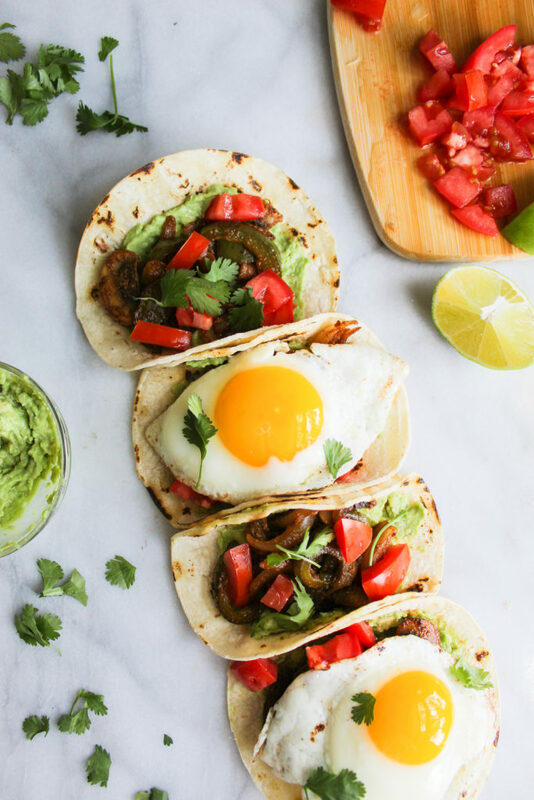 Or maybe these Breakfast Tacos with Homemade Salsa! They’re all sooooo good. Speaking of breakfast, I’ve been in such a breakfast rut lately! I feel like Ben and I have been eating omelettes everyday for the last 4 months. No joke. I knew I had to change up my routine or else I was going to say goodbye to eggs for a good long while. And thus, these Spicy Breakfast Fajitas were born. 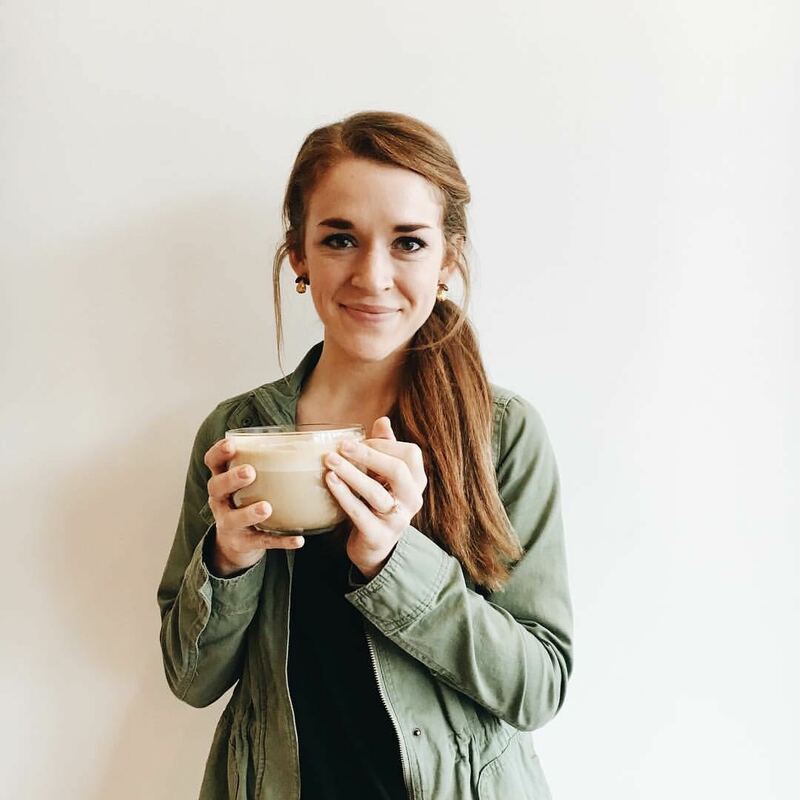 Combining both veggies, healthy fats, carbs and eggs, these are my NEW go-to breakfast! Can we just take a moment to be in awe over these delicious charred veggies? Yassssss. Using all of those spices will ensure that you get the crunchiest, juiciest, spiciest veggies. Worried it may be too spicy? Never fret! On the base of the corn tortilla, I made sure and spread a HEFTY amount of creamy guacamole. 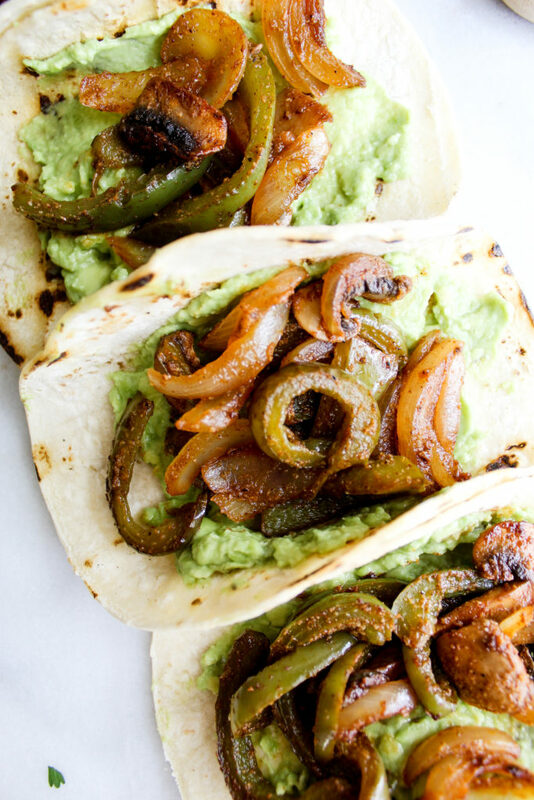 It has not only a flavorful effect, but it also cools down the taco slightly. If you want even extra *coolness*, schmear some sour cream on there as well! These are great to make for a crowd, for you and your significant other or just for yourself! Hope you give these a try. As always, if you do try them out, make sure and tag me on Instagram @ourbalancedbowl to let me know 🙂 XO! 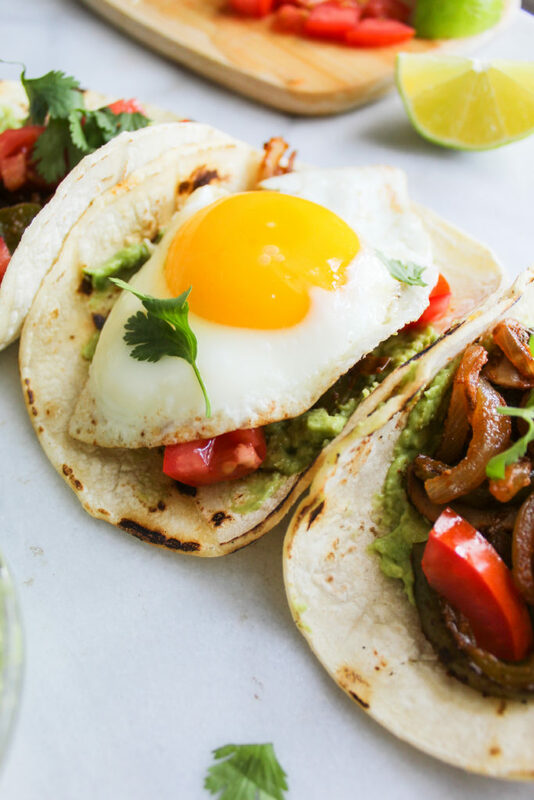 These Spicy Breakfast Fajitas are my filled with creamy guacamole, loaded with spicy fajita vegetables and topped with a piping hot fried egg! It’s spicy, it’s delicious, it’s your new favorite breakfast. Chop all of your veggies into long thin slices. Heat up a non-stick skillet on medium heat. Add in your olive oil. Add in the green peppers and onions along with all of your spices. Cook for 5 minutes, stirring occasionally. Add in your mushrooms at the 5 minute mark and stir the veggies in the pan well to incorporate the mushrooms. Cook for an additional 2-3 minutes or until veggies are charred along the edges and cooked all the way through. 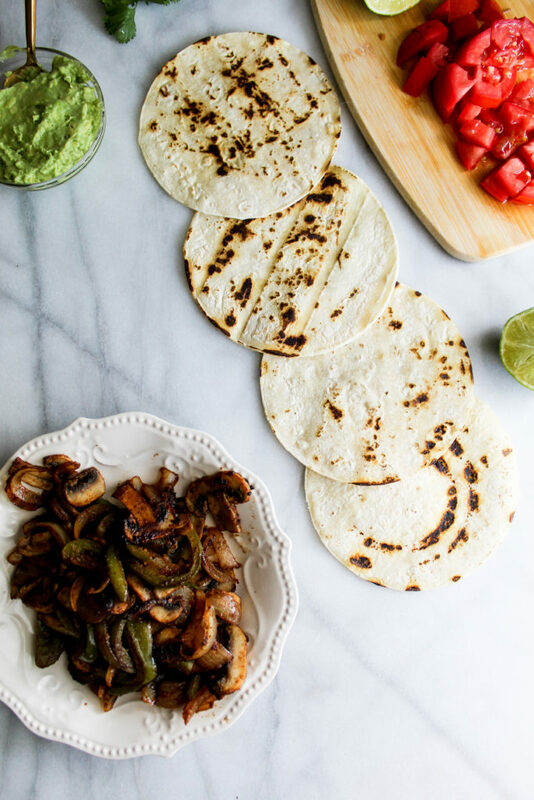 While your veggies are still cooking, char your corn tortillas on the stove eye - letting them rest on the eye for just a few seconds before flipping them. This method makes them SO delicious! In another pan, add butter and crack your eggs, letting them cook in the pan until the whites are cooked through but the yolks aren't overcooked. This will ensure you get that delicious runny yolk! Mash your avocado, along with the other guacamole ingredients. Spread the creamy guacamole on the corn tortillas. Add on your veggies and top with the fried eggs. Top with cilantro, fresh cut tomatoes, or a spritz of lime! Eat immediately and enjoy.